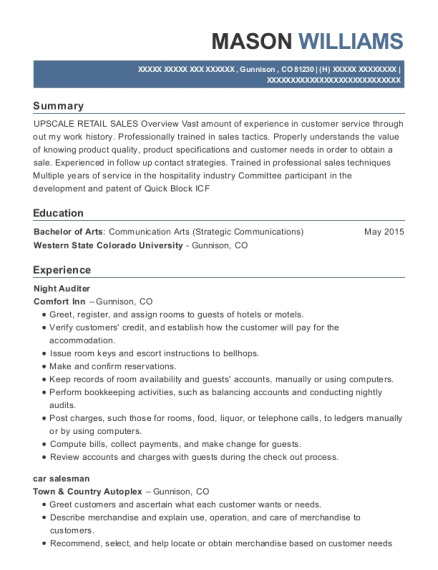 Service-oriented Tire Technicians with 2year background in automotive industry. Core competencies include multi tasking, fast and alert,Ability to withstand physical strain as well as excellent communication and time management skills. Handles tasks with accuracy and efficiency. Further added to my experience always have paid attention to detail and flexible to situations and able to innovate new ways to maneuver around obstacles. 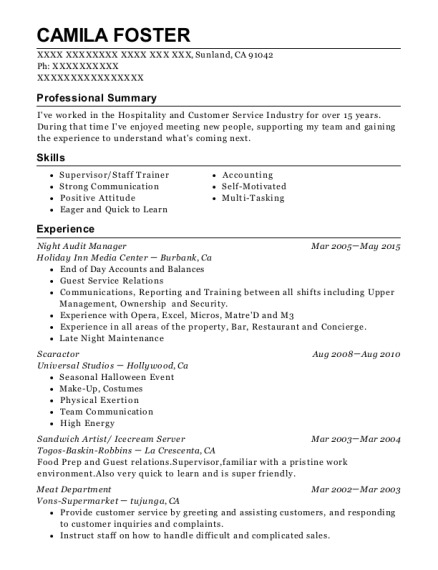 This is a resume for a Night Audit in Long Beach, California with experience working for such companies as Sheraton Hotel and Americas Tire. 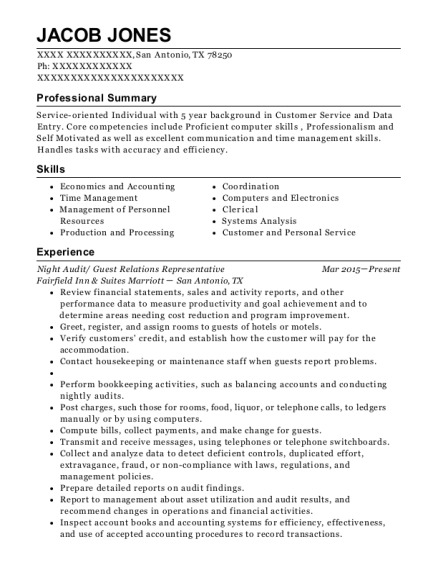 The grade for this resume is 0 and is one of hundreds of Night Audit resumes available on our site for free. 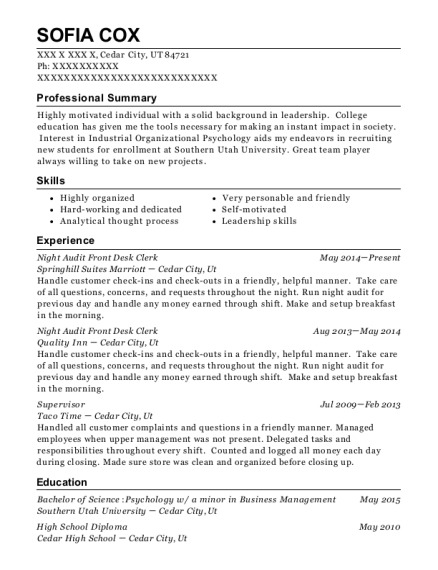 Use these resumes as templates to get help creating the best Night Audit resume.